Tsumagoi Cabbage Rally Team won the victory of JSR Production. We coordinate and manage the MINi PREMIUM RENTAL RALLY CAR EXPERIENCE. There are a lot of attractive movies and photos which we enter in as a crew, manage or coordinate some team related with motorsports. Tsumagoi Cabbage Rally Team supported by Hankook Tire finished Asia Pacific Rally Championship overall 8th place on the Rally Hokkaido. 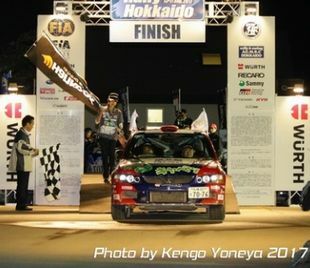 This was also the final round of Japan Super Rally (JSR) series too. We won the victory of JSR Production series champion. Based on Obihiro City in Hokkaido, Rally Hokkaido was held from 13th September to 17th as Asia Pacific Rally Championship (APRC) Rd.5, JSR final round and Japanese Rally Championship Rd.7. The total Special Stage length was over 200Km. So Rally Hokkaido was the greatest rally in Japan. 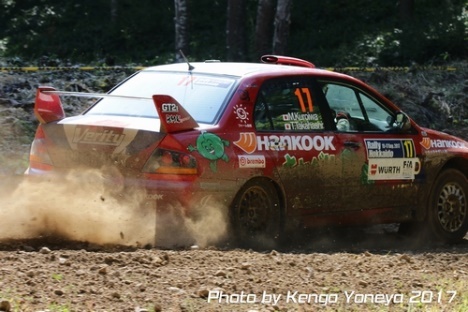 Tsumagoi Cabbage Rally Team supported by Hankook Tire was participated in both APRC and JSR as the international class. We aimed to win JSR Production series champion which was for production cars similar to Group N.
It was necessary to prepare the machine which complied strictly with the Fédération Internationale de l’Automobile (FIA) safety regulation because APRC was a FIA Regional Rally Championship. 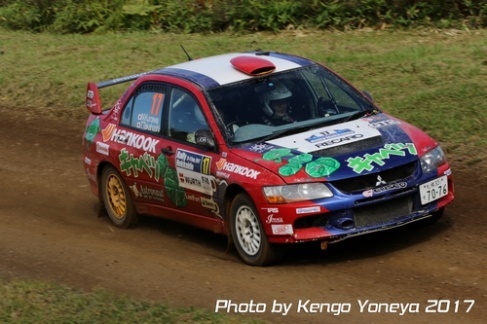 As our present LANCER did not comply with the APRC regulation, we rent a Group N “KAMKYO LANCER” which did well in 2010 WRC Rally Japan. At 13th September we did the shakedown of the renewal machine for awaking from 7years sleep. And we tested Hankook Gravel Rally Tire R213 for Japanese rally debut. The competition Day 1 schedule was very busy with Offical Shakedown, Rally Show, Ceremonial Start and Start of Super Special Stage 1 Satsunai. Tsumagoi Cabbage Rally Team ,who is based on Tsumagoi-village where is the largest producer of Cabbage in Japan, gathered much attentions in Tokachi too. Tokachi is a big agriculture area where includes in Obihito city and surrounding area. So many people and companies in Tokachi are interested in the “Cabbage” rally team. The Tokachi’s agricultural corporation “Farm Shizen” supplied a large amount of Cabbage for our team. We gave their cabbage to spectators. Tsumagoi Cabbage Rally Team became one of brilliant rally teams. 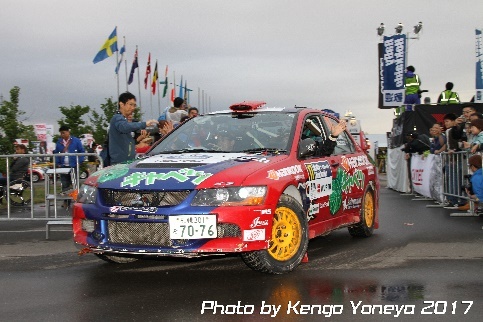 After Rally Show and Ceremonial Start, the 3 days Rally Hokkaido started actually from Super Spacial Stage SATSUNAI. For the reason of the information about a hard raining night in the forest stage, we did grooving of tires for mud condition of the most difficult stage SS3 KUNNEYWA. During SS3 KUNNEYWA, our LANCER EVOLUTION was having engine trouble. A following car CUSCO Racing Aoyama who had been the 2nd point standing of JSR Production overtook us. Our LANCER stopped at 3km up to the SS3 finish. At this moment, our hope of JSR Production champion seemed to have been lost. Fortunately we could restart the engine. At next corner from the restart, Aoyama was standing on the side by rollover. Our hope came back by Aoyama’s LEG1 withdrawing. Though we had high risks of our troubled engine until we arrived at the remote service RIKUBBETSU, our team mechanics repaired completely. We lost over 4 minutes from Iwashita who was the top of production cars. So our strategy was changed to complete rally finish with absolute accuracy. Although Mitsuyosshi Kuroiwa did his steady driving, he recorded APRC overall 6th and production 3rd SS time at SS9 SIPIRKAKIM. His driving skill was the same as the top level. After SS9 he drove without risk. He aimed to finish the rally only. The result of the competition Day 2 was the 7th place of production cars. Keeping the 7th position, we would win the victory of JSR production champion surely. So Kuroiwa drove more carefully without any overload on both the engine and the drive system. Aoyama recovered from LEG2. He did not give up. He drove strongly for taking LEG2 points. But we were not influenced by his pressure. Kuroiwa has arrived at the rally finish with his steady driving. We finished the 6th place of production cars. Finally we won the victory of JSR production champion. Additionally our position was APRC overall 8th and JSR overall 10th. We got the 3rd place of JSR overall too. Tsumagoi Cabbage Rally Team, Kuroiwa Mitsuyoshi and Hankook Tire created a vivid impression on Japanese Rally fields in JSR first year. I participated in my first Hokkaido’s Rally. My first Hokkaido’s was the difficult Rally Hokkaido. Initially I would not care about position. My target would be only complete rally finish. At the section 2, it seemed to be difficult to finish the rally by engine trouble. But I increased enthusiasm for complete rally finish when I saw Aoyama’s coursed out. This is the cause that I won the victory of JSR production champion. Hankook Gravel Rally Tire R213 was very good feeling from the test day. And the wear performance was so good that I could drive many long SS of Rally Hokkaido without anxiety. By tire grooving, the feeling for wet condition increased toward safety. When I challenge next time, I want to fight with top contenders by SS times. At Rally Hokkaido, 4 teams (except Tsumagoi Cabbage Rally Team) made use of Hankook Tire R213 for Gravel Rally as follows. At the most difficult Special Stage SS3 KUNNEYWA 28.75km, Masumura recorded APRC overall 3rd and production top SS time. He showed the high performance of Hankook Tire. Unfortunately he retired at SS4 by Mission trouble. Subsequently Iwashita showed the performance of Hankook Tire instead of Masumura. During LEG1B, Iwashita’s LANCER had trouble with her suspension. He dropped his position. But at LEG2 he recorded top production SS times continuously. Such his SS times went between R5 machines’. At SS14 he ranked at APRC overall 3rd and production top. Regrettably he was declared as “EXCLUDED” after SS15 because his temporary suspension repair at LEG1B had been judged a violated operation. Both Chigira and Nogariya arrived at the finish podium without big trouble. The activity of both Masumura and Iwashita could prove that Hankook Tire R213 for Gravel Rally, which developed by World Rally Championship and European Rally Championship, had enough potential for Japanese Gravel Rally. JSR is the new international rally series which started Febrary-2017. Tsumagoi Cabbage Rally Team is the home ground in Tsumagoi village where is the host town of JSR Rd.1 and Rd.2. The driver is Mitsuyoshi Kuroiwa who lives in Tsumagoi village. Tsumagoi village supports to the team officially. The team name is the village name and the specialty products Cabbage. Tsumagoi Cabbage Rally Team is a very regional rally team. And there are many team supporters in Tokachi where is the host area of JSR Rd.3. Because Tokachi is a big agriculture area. Especially Cabbage is one of major productions in Tokachi. 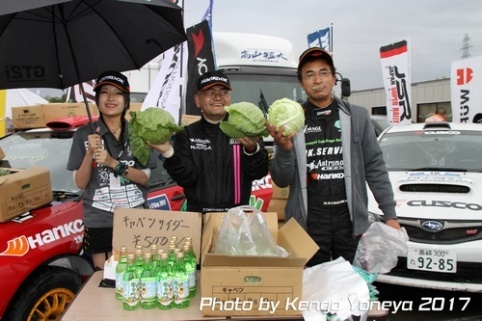 Tsumagoi Cabbage Rally Team Hankook won a second place for Production Cup. 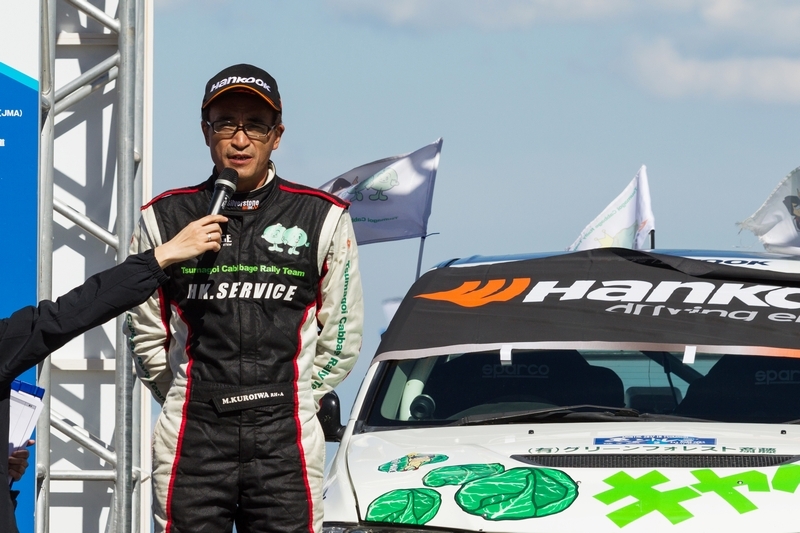 Tsumagoi Cabbage Rally Team supported by Hankook Tire won a second place for Production Cup of Japan Super Rally Series Rd.2 Montre in Tsumagoi. 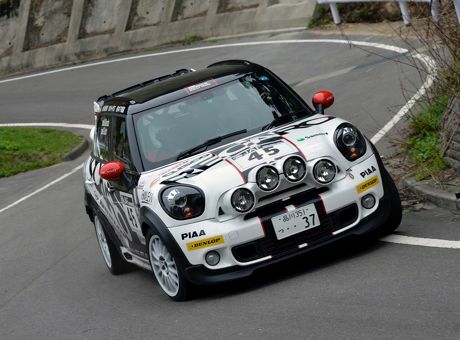 Hankook Tarmac Rally Tire Z209 and Z210 have made a brilliant debut in the Japanese Rally. Montre in Tsumagoi was held in Tusmagoi-Mura, Agastuma-gun, Gunma, Japan from 8th June to 11th as both Japan Super Rally Series (JSR) Rd.2 and Japanese Rally Championship Rd.5. 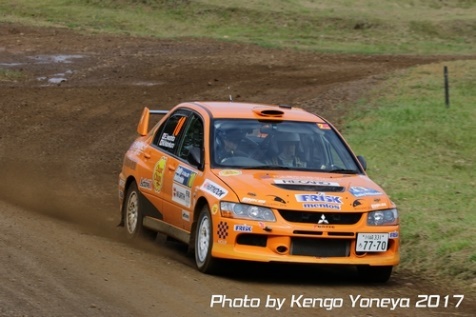 Tsumagoi Cabbage Rally Team supported by Hankook Tire was participated in JSR as the international class. We aimed to win the production cup which was for production cars similar to Group N.
At 8th June the official test run day, Hankook Rally Tire Ventus Z209 for dry condition and Ventus Z210 for wet condition have been tested for the first time by Mitsubishi Lancer Evolution 9 driven by Tsumagoi Cabbage Rally Team Mitsuyoshi Kuroiwa. We have tested both tires positively. At 9th June the scrutineering day, the organizer has approved of making use of FIA approved Ventus Z209 and Z210 in this rally. Officially Hankook Rally Tires have advanced in the Japanese Rally field. Every year this rally has been in the heavy rain. So our machine setting was specialized only in the wet condition. We expected that it would start to rain during the section 1. But it was no rain. We have delayed big. In the section 2, we expected to continue the dry condition. We were betrayed by the weather again. Just before SS5, it started to rain. Our behind time was 1 min. 53 sec. from the top of the overall. For the production cup, it was 33 sec. behind from the top. The reason was both our wrong machine setting and our wrong tire choice. In the section 3, we gambled on the rain though many teams choose dry tires. Our choice was Ventus Z210 for rain. We won this gamble. Just before SS8, the rain for we were waiting eager has started. It rained heavily and fogged deeply. Though we did slow pace driving because of poor visibility, we got the best SS8 time for the production cup. We also took the best time of next SS9. Ventus Z210 were performed in the rain very much. The end of the section 3, we recovered the second position of the production cup. The difference with the production cup top CUSCO RACING Aoyama was only 1.9 sec. The weather was very fine. Our tire choice was Ventus Z209 for the dry condition. We got best times for the production cup alternately with Aoyama. But our machine setting was not so good that the difference with Aoyama gradually increased. Before the last SS, it was 5.1 sec. behind from Aoyama. The last SS was Omae Suzaka Down where was the home ground for Mitsuyoshi Kuroiwa. We attacked maximumly for aiming a dramatic victory. We got the best time. But Aoyama got the second time. The difference was 1.4 sec. We lost the victory. Our place was 2nd of the production cup. The total difference was only 3.9 sec. from the winner CUSCO RACING Aoyama. Regrettably we could not take the debut win for Hankook rally tires in Japan. 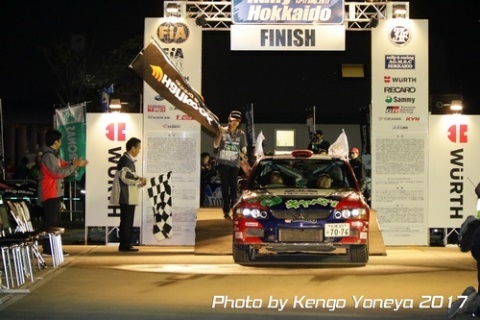 Although, we proved the great performance of Hankook Tire for the Japanese rally competition. I failed my weather expectation. Early in the rally, I have taken a big behind. But in the section 3, Z210 was very suitable. It was thanks to Hankook Tire that I could recover behind 1.9 sec. from CUSCO RACING Aoyama at the end of Day1. Day 2, the machine was not suitable for the dry condition. Although, the dry tire Z209 was so good that I could fight with Aoyama closely. If I would have restrained my Day 1 behind, I would have won the production cup victory. I’m very regrettable for this result. The next round is Rally Hokkaido at September. I will do my best to prove the potential of Hankook Tire on the gravel road. 1st Yuya Sumiyama CUSCO RACING TOYOTA VITZ 48 min. 25.5 sec. 2nd Yasushi Aoyama CUSCO RACING SUBARU IMPREZA 51 min. 48.7 sec. MITSUBISHI LANCER 51 min. 42.6 sec. 1st Yasushi Aoyama CUSCO RACING TOYOTA VITZ 51 min. 48.7 sec. 3rd Kouichi Nogariya SUPER ALEX TROOP SUBARU IMPREZA 55 min. 08.3 sec. Tsumagoi Cabbage Rally Team is the home ground in Tsumagoi village where is the host town of JSR Rd.1 and Rd.2. The driver is Mitsuyoshi Kuroiwa who lives in Tsumagoi village. Tsumagoi village supports to the team officially. The team name is the village name and the specialty products Cabbage. Tsumagoi Cabbage Rally Team is a very regional rally team. The result of Tsumagoi Cabbage Rally Team JSR Rd.1 was the victory of Production cup and the 2nd position of Overall. Mitsuyoshi Kuroiwa is a high level rally driver in Japan. GT2i is the first French distance selling company specialized in equipment and accessory for Motor Sports Competition, Tuning Racing, Quad, Historic Competition Vehicle and recently cycle. 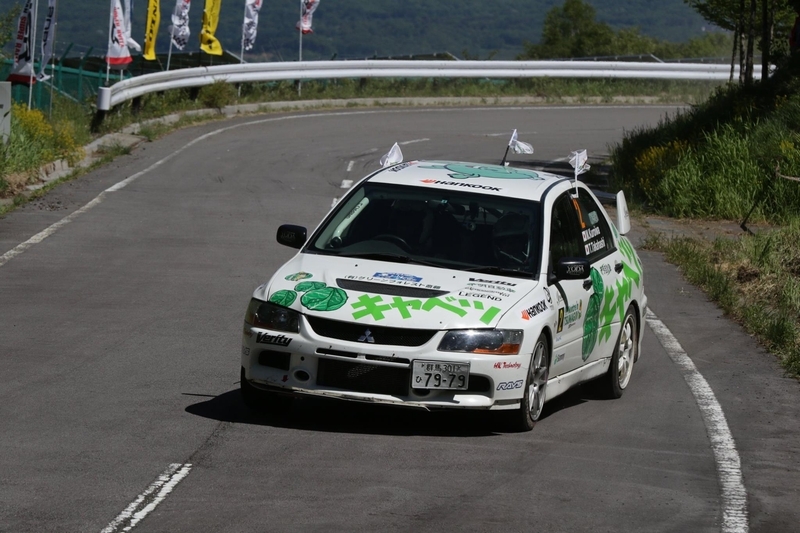 Driver Mitsuyoshi Kuroiwa ride along with Cabbage Lancer on 2015 Montre in Tsumagoi. New Zealand Rally Championship has been added. 2017 Feb 2-5th, International Rally of Tsumagoi will take place in Japan.